Uber violated the California Invasion of Privacy Act and the Federal Wiretap Act, and engaged in unfair competition, according to plaintiff Michael Gonzales, who drove with Lyft when "Hell" is said to have been in action, TechCrunch reported. Gonzales is pursuing the case as a class action through the U.S. District Court for the Northern District of California, and asking for $5 million in damages. The Hell app, detailed by The Information, supposedly let Uber see how many Lyft drivers were available in an area, what they were charging, and even which ones were also driving for Uber —in that case, giving Uber the ability to push incentives that could keep drivers exclusive. Only a handful of people at Uber are said to have been aware of Hell, among them CEO Travis Kalanick, a few other executives, and some data scientists. The app was allegedly discontinued in early 2016. 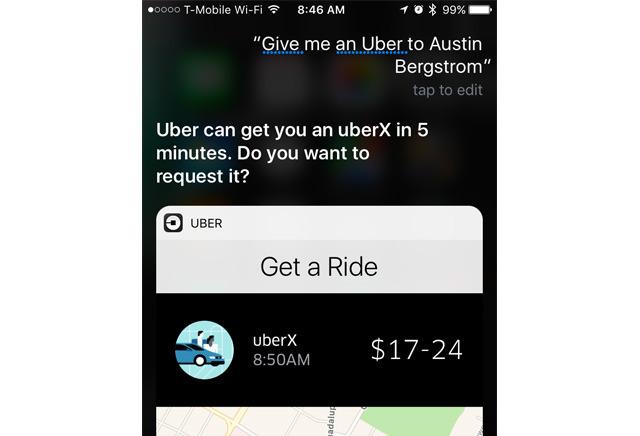 Recently a report claimed that in 2015, Apple CEO Tim Cook personally spoke with Kalanick over Uber's collection of UUIDs from iOS devices, threatening to kick the company's app out of the iOS App Store. While Uber was trying to prevent people from creating multiple fake accounts to claim new account bonuses, collecting hardware IDs is a violation of Apple rules. Uber has repeatedly run into concerns about abusing data. It has used another tool, "Greyball," to deliberately avoid picking up government authorities in cities where it may not have permission to operate. People within the company have also been accused of stalking journalists, celebrities, and ex-lovers.